I first had a crush on a girl when I was about 11, I think, in my first year of high school; she was a couple of grades above. But it was fairly innocent, as crushes usually are at that age, and in one of the ancient Advice To A Teenage Girl books still swimming through the school library system there was a healthy dose of homophobia, with some of the less noxious wisdom being that adolescent girls often have crushes on older girls, it's a harmless normal stage they'll grow out of. Considering the great big globs of weirdness I was saddled with in almost all other areas of my life, this was welcome news. Hooray! I'm normal! And this was a different time. It was years even before Ellen came out, and that was such big news on the cover of Time magazine. I knew there were lesbians, but I thought it meant you had to crop your hair short and ride a motorcycle. But I liked pretty dresses! And there were no visible bisexuals at all. Homophobic jokes abounded. I'm pretty suggestible, and the whole idea of not being straight just seemed like something best kept buried deep down, never thought of - in the closet, yes. I didn't think much more of fancying girls for another ten years or so, when after the worst of the craziness following the breakdown of the relationship with the guy I was absolutely certain I was destined to spend the rest of my life with, attraction to women roared into life. Could it have been I was a lesbian this whole time? I experimented. I dated. I hung around lesbian social groups. I worked myself out. No, not a lesbian. I still fancied guys. (Although my taste has always run to the more feminine, less macho types; at least two of my exes have been mistaken for women, and more than one has pointed out I was more masculine than he was). I never really used the word bisexual - it has so many connotations. (Still does). I wasn't interested in reclaiming the word. It was just known in my immediate social circles that I like boys and girls, and we all got on with our lives. Then I met a cute guy out one night, we got married and had a kid. That was it, then. I'd locked into hetero life; I could pass, I didn't have to worry. Except I knew I'm not straight. And times were changing. The culture was getting more accepting. I debated coming out, but it didn't seem right, and even kind of pointless. I thought of how my husband would feel - "yes, I love you and am committed to you for the rest of my life, but I want to announce to the world I'm sexually attracted to women. How would that be?". No. Even though he was always fine about it, I just couldn't do it. And then we separated amicably after 7 years, for reasons that had nothing to do with sexuality. And...after a suitable mourning period, you start to notice people again. And the time had come to be honest about who I am. A few weeks ago, my GP wrote me a referral to a psych to discuss all my (rather marvelous) hang ups. And on that referral, in the space for sexual orientation, he'd put "heterosexual". A reasonable assumption to make - I'd discussed my separation with him, after all. But it was the wrong one. I'm not heterosexual. I'm tired of passing. 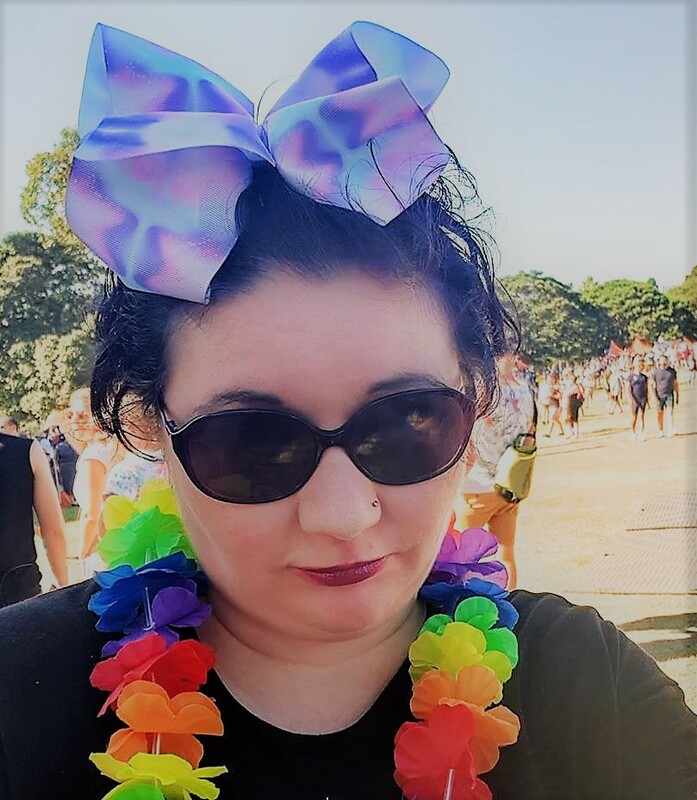 I am not just a straight ally who's been to a tonne of gay bars and was advocating for gay marriage when it was seen as a fringe position. I am bisexual. But what I really prefer to say is - I am queer. And now here I am. I'm not going through a phase, not sowing my wild oats or relishing my freedom, and I haven't been turned off men. I'm not even dating anyone. (I never meet anyone, which a sensible person would attribute to the fact I never go out, but I prefer to blame my hips). It was always there and it always will be. And if I'm going to hell, it won't be for this. I used to be (more) racist.